Please select the devise(s) that need service? Is this personal or commercial? How many unit(s) do you need to repair or service? Are you looking for affordable IT & computer services within Nairobi? Then you are at the right place. Because we keep IT maintenance & repair simple. Our Experts offer IT support for individuals and small businesses, one site and remote assistance. Also professional and high-quality services ranging from laptop repair to data recovery, broken screens & hardware upgrade, and more at a competitive price. Famio services Limited brings straight to you the expertise you are looking for in Nairobi, Kenya, affordable and fast. Our computer services and laptop repair professionals are waiting for your request. First, tell us what you need by filling the questionnaire. Then within hours, you will receive free quotes. 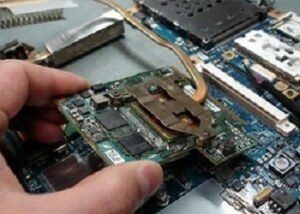 With our computer services and IT maintenance & repair, it is 100% satisfaction guarantee. We help you optimize costs, improve efficiency and reduce risks. You can also contact us directly and we’ll be happy to assist you. For all your computer services needs at home or in your office, Famio Home & Office Maintenance is the best partner.